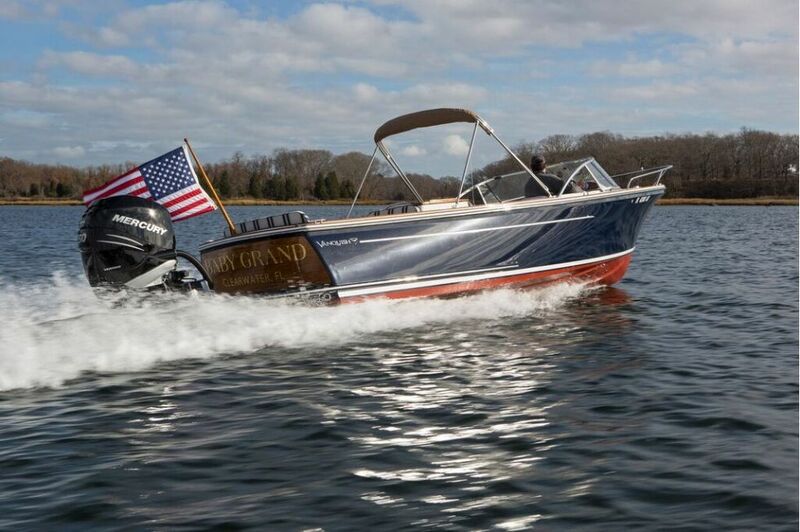 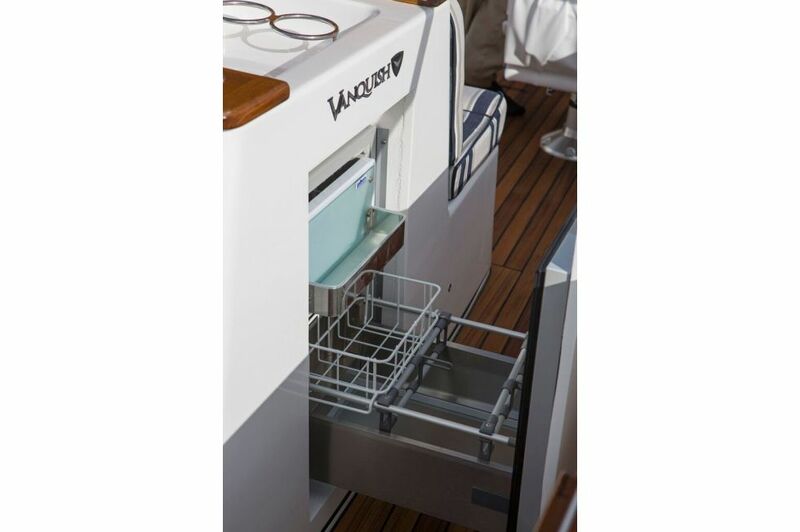 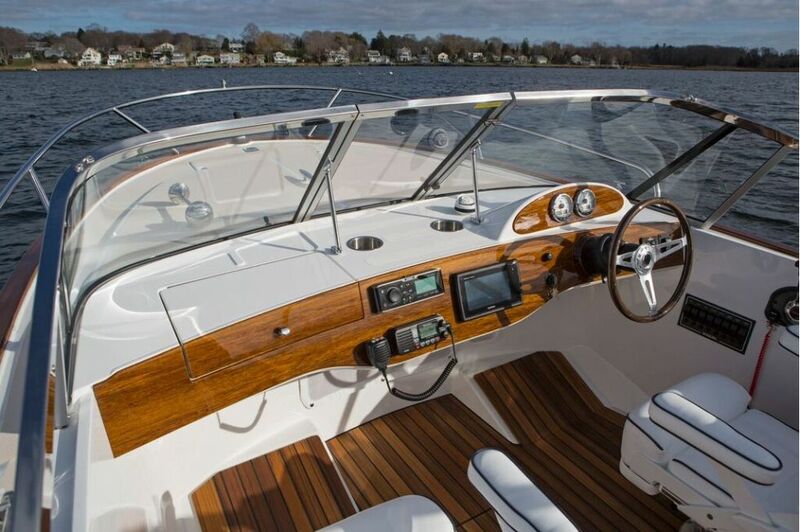 The Vanquish 26 Runabout is the flagship of our fleet featuring the latest in outboard technology and loaded with all the featured discerning boaters expect in a luxury day-boat. 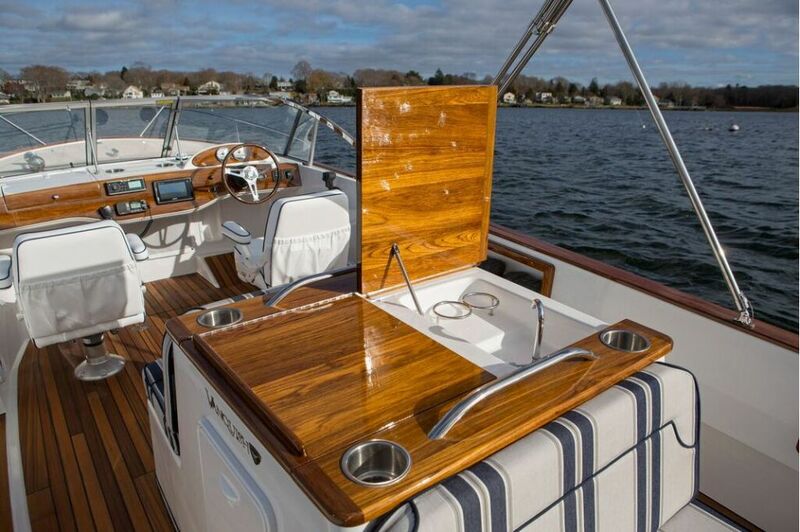 The centerline entertainment center features a two-part flip up teak top with sink, pull out trash can, wet bar and space for the optional DC refrigerator and 120V electric grill. 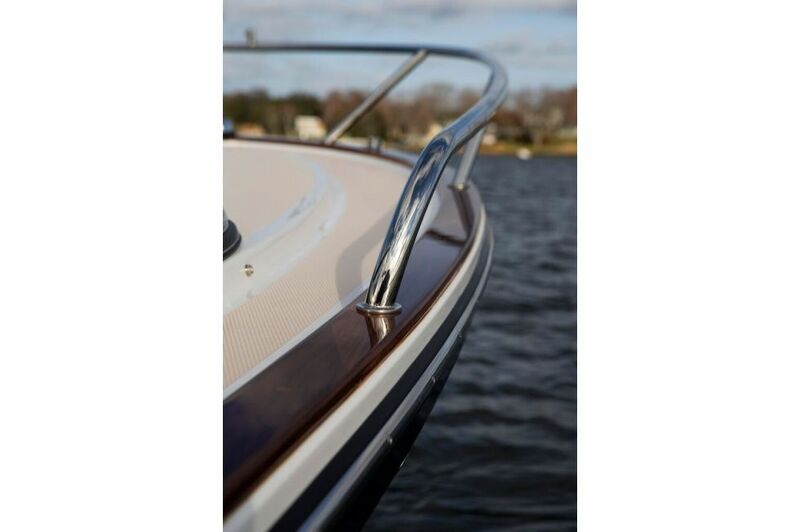 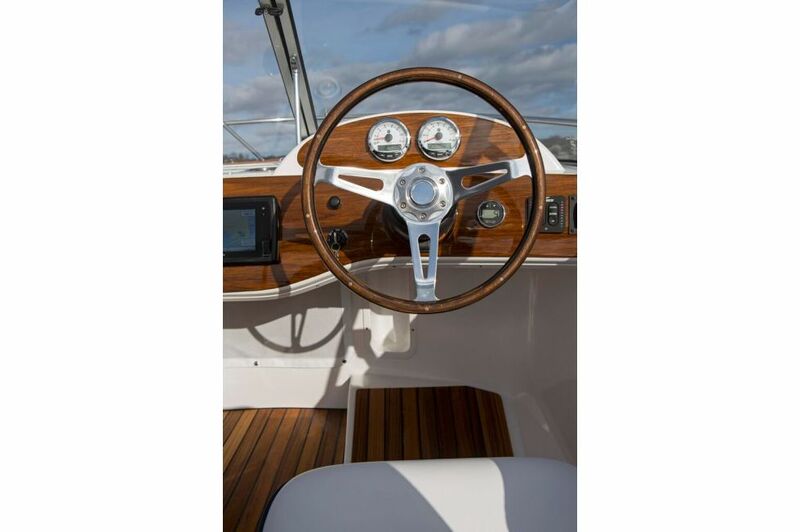 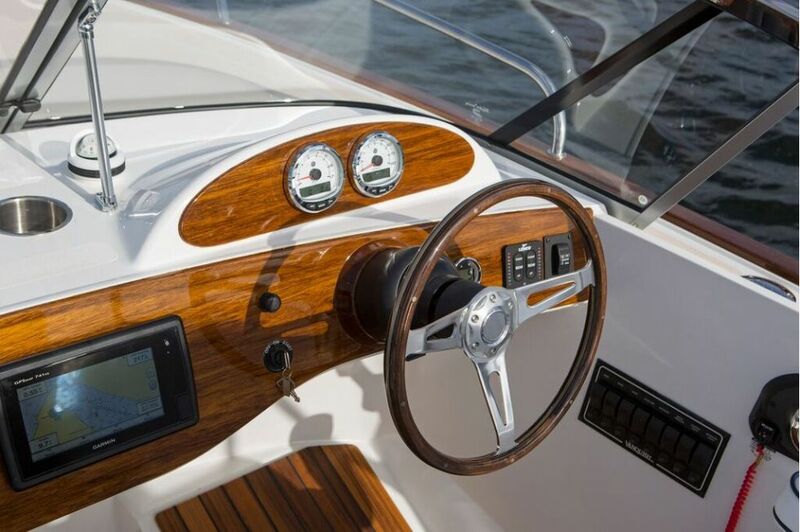 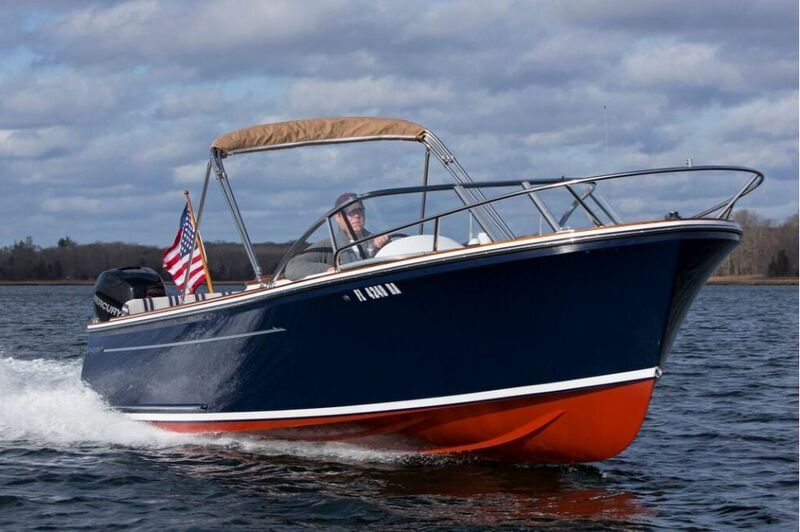 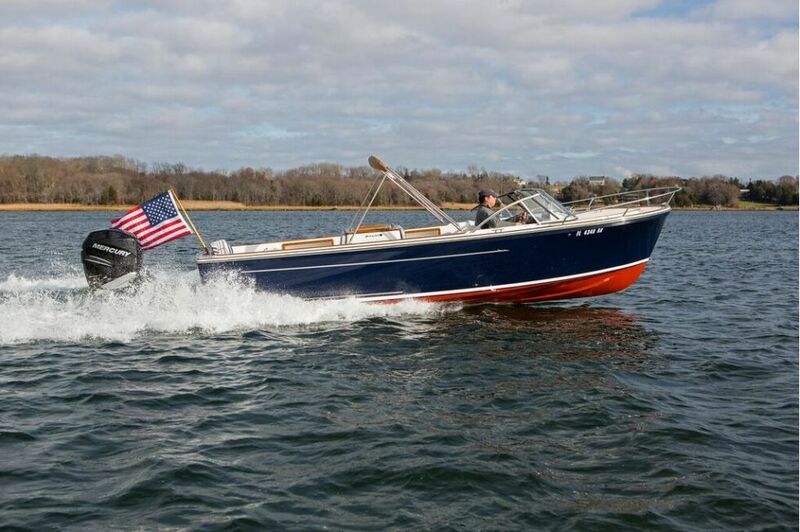 Her classic helm and companion station, also trimmed in teak, provides a simple clean day-boat styling reminiscent of a classic roadster. 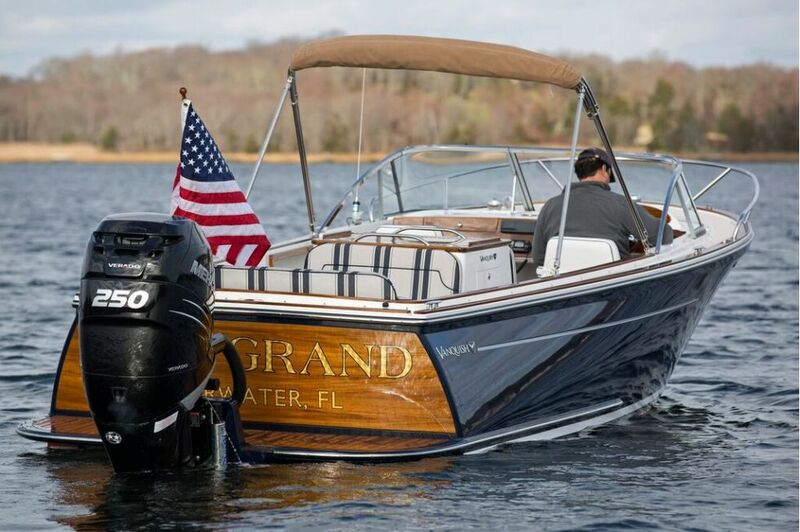 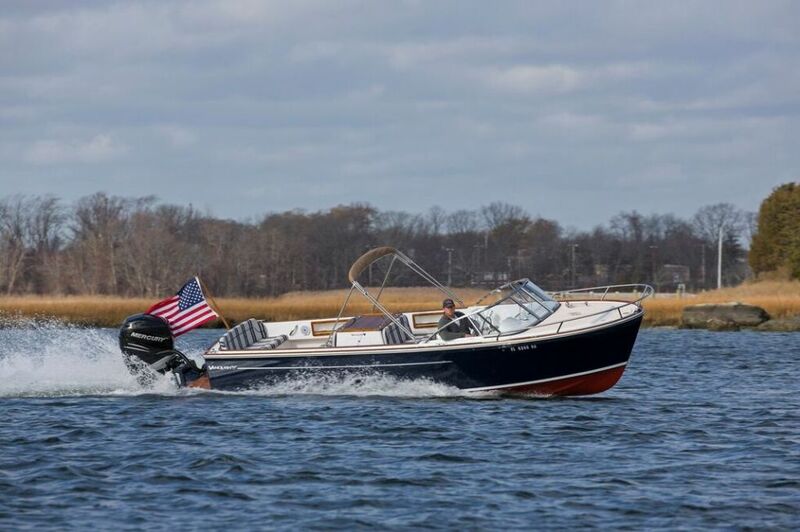 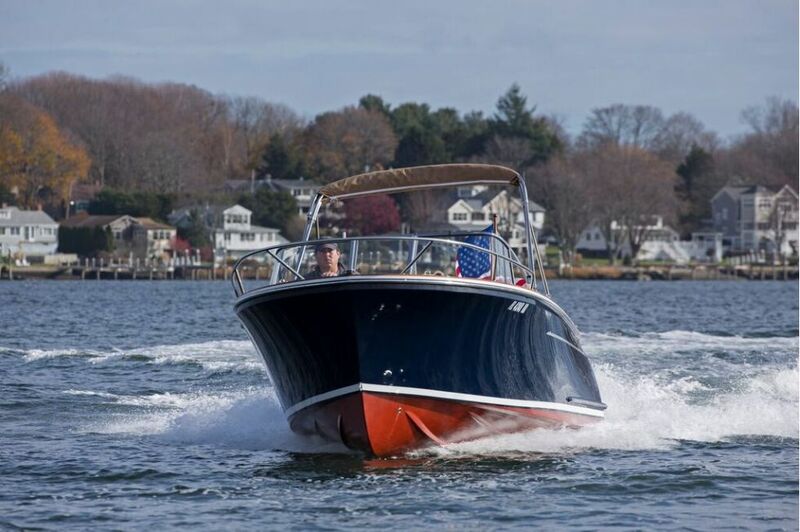 With standard seating for 8 or optional seating for 11, no one is left behind for fun on the water with the family, a day-trip up the coast or on the lake, or a harbor tour with cocktails with friends. 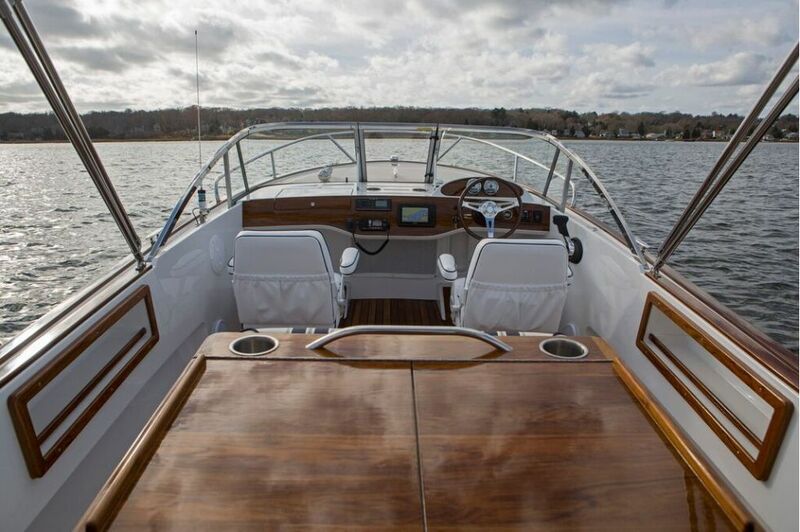 The streamlined walk-though windshield makes everyone look like a pro when anchoring or handling lines while the interior hides over 100 cubic feet of storage space including built-in storage spaces and under the seat coolers.